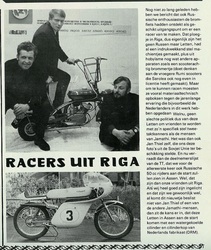 The Riga factory "Sarkana Zvaigzne" in Riga ,Latvia was a very large manufacturer of mopeds in the former USSR. The factory evolved from the pre-war G.Ehrenpreiss bicycle factory that was renamed "Sarkana Zvaigzne" ,which means "Red-Star" in the Latvian language. 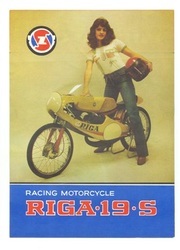 Riga electronic ignition with special drive on the engine. 2 batches of 15 pieces ? 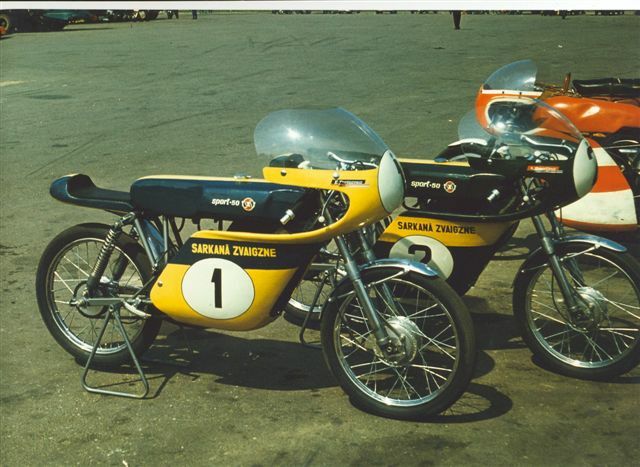 One with steel frame ,two with aluminium Deltabox. 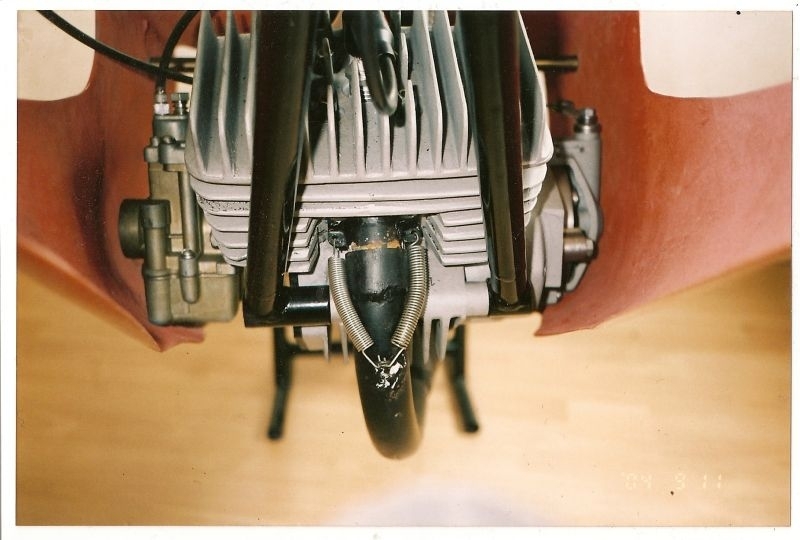 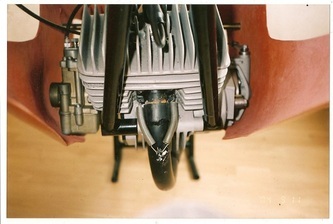 2 cilinder rotary inlet engine with Serpuchov parts. 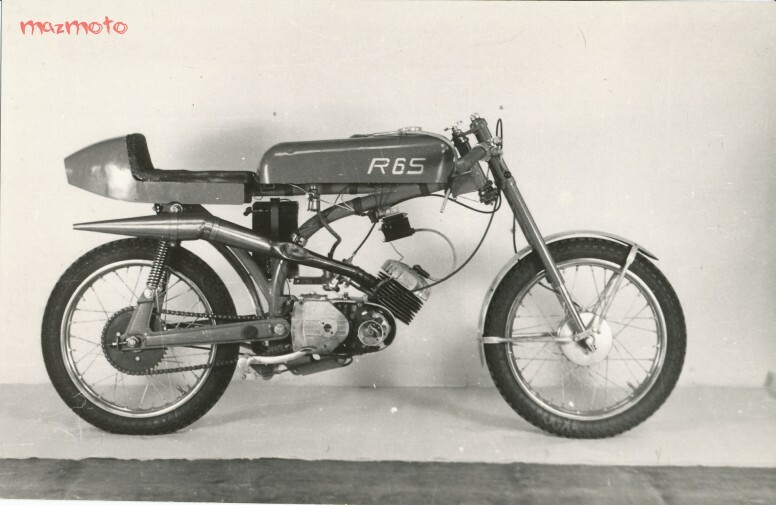 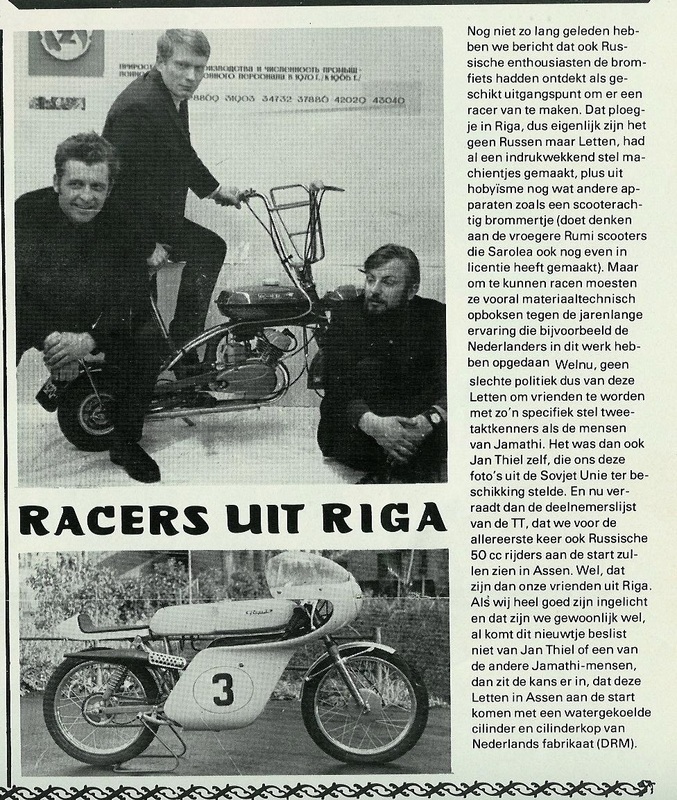 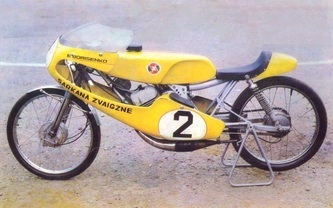 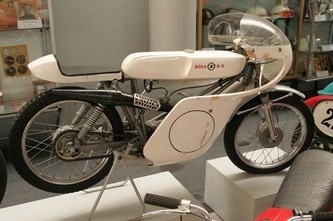 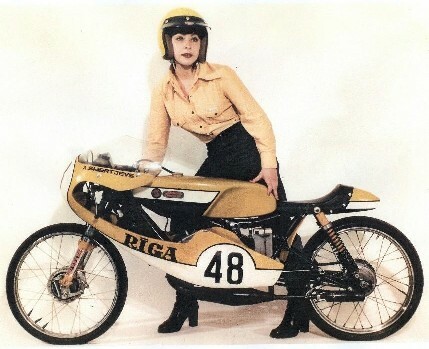 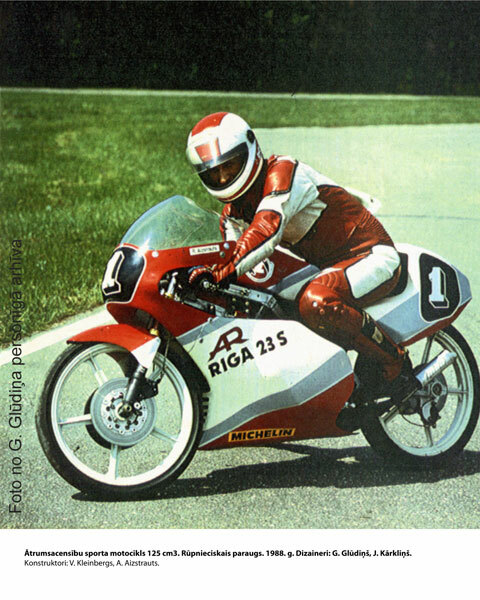 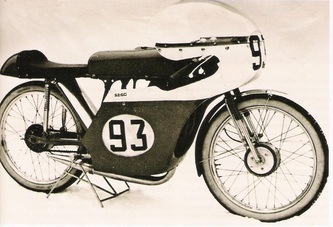 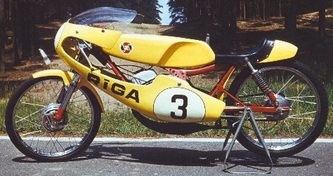 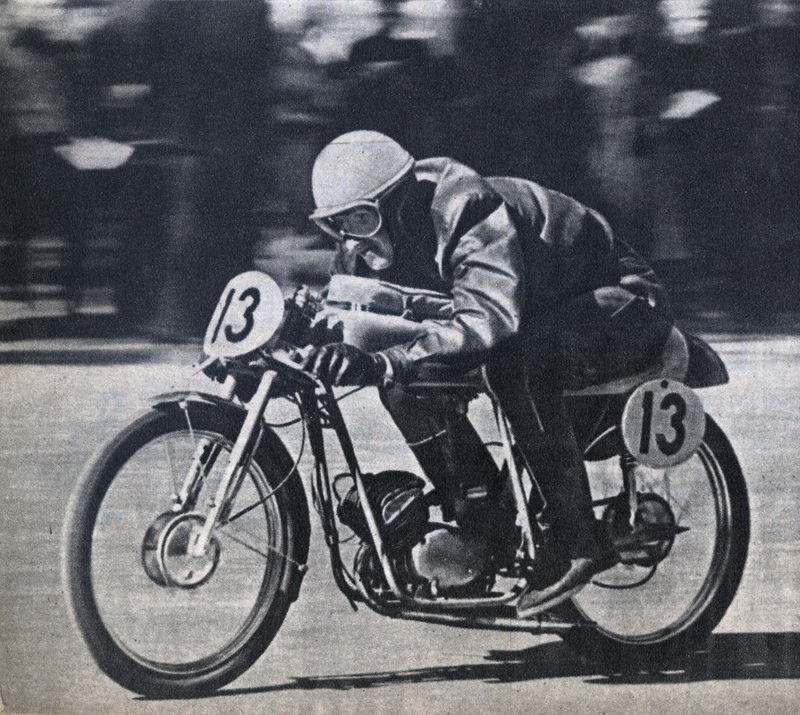 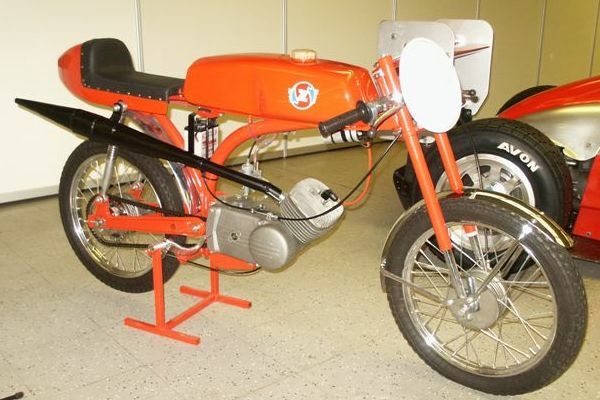 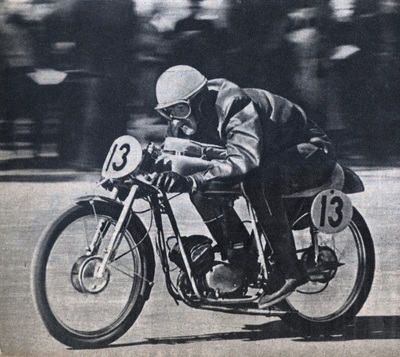 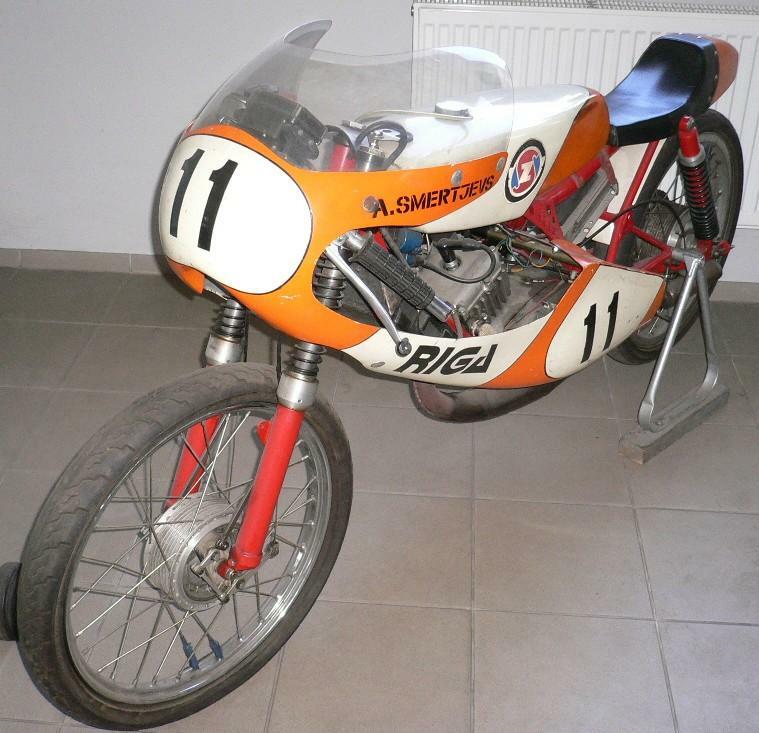 Besides these racers Riga also produced some junior racers ,basically a 15S with Vairas 2 speed engine. 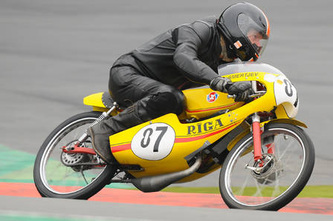 Factory riders Smertjews and Borissenko build their own optimized 50cc specials with Kröber ignition ,Kreidler Van Veen cilinder and alloy rims. 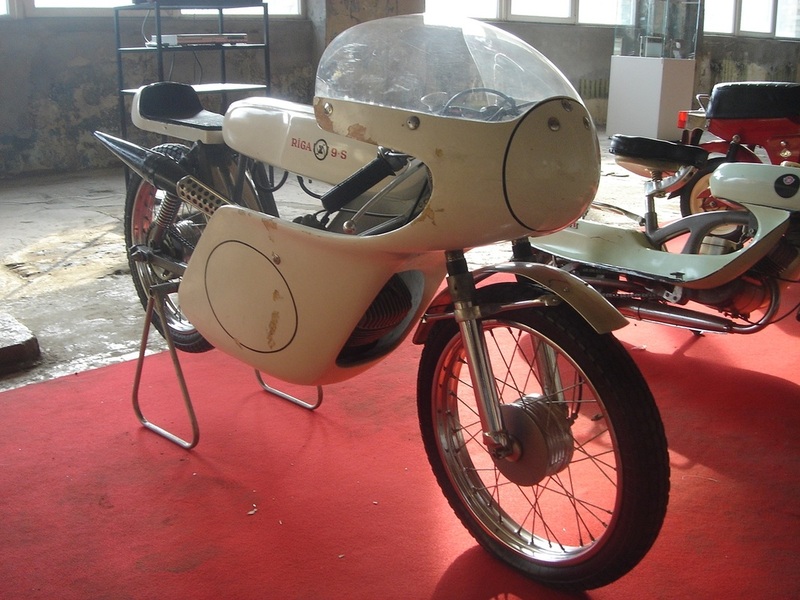 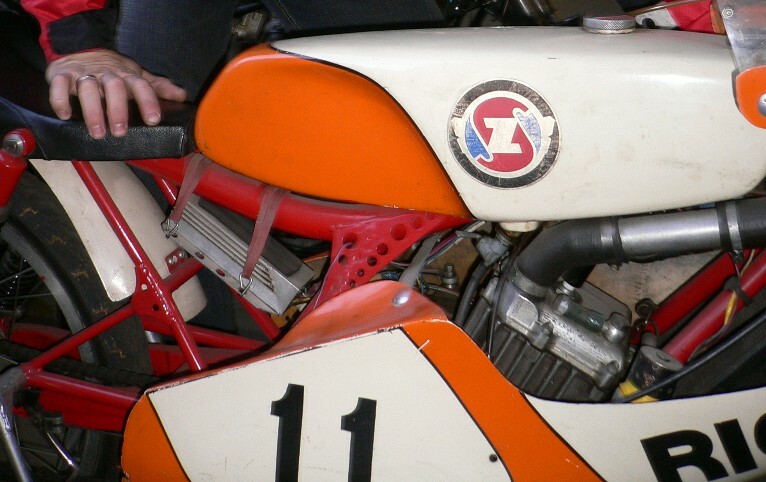 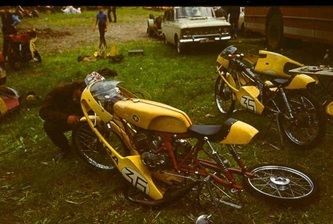 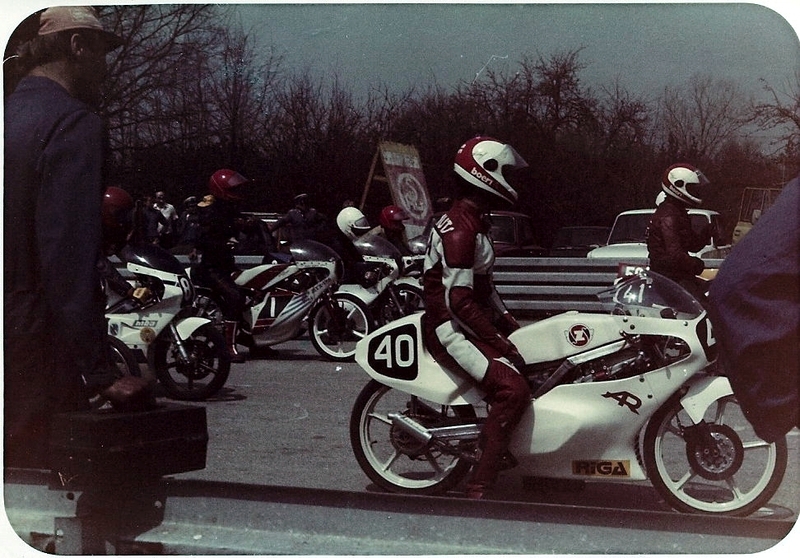 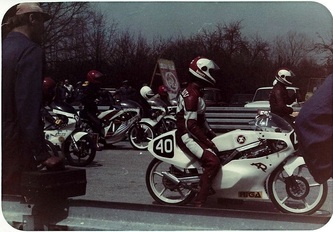 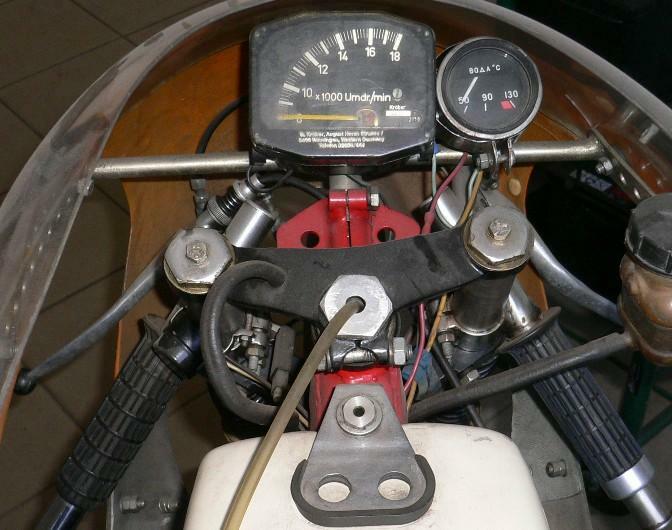 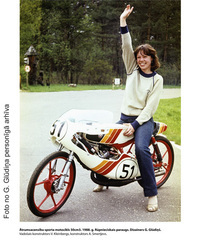 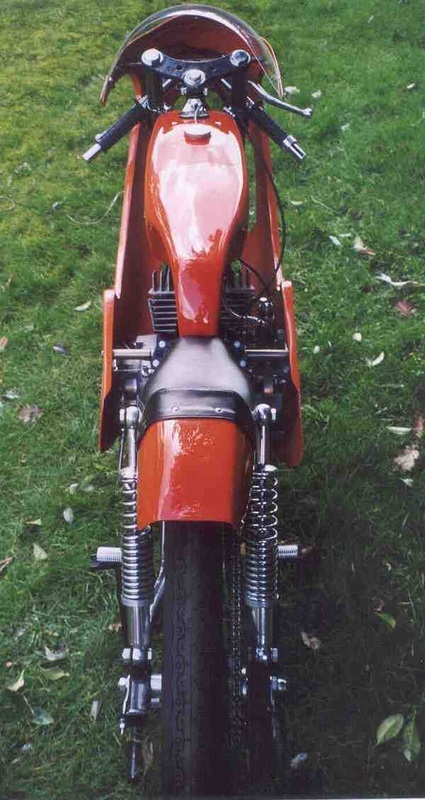 Also 125cc racers were made by the raceteam members ,using some parts from the 50cc racers. Technical info about these bikes not available ,maybe based on Minsk engines or Serpuchov specials. 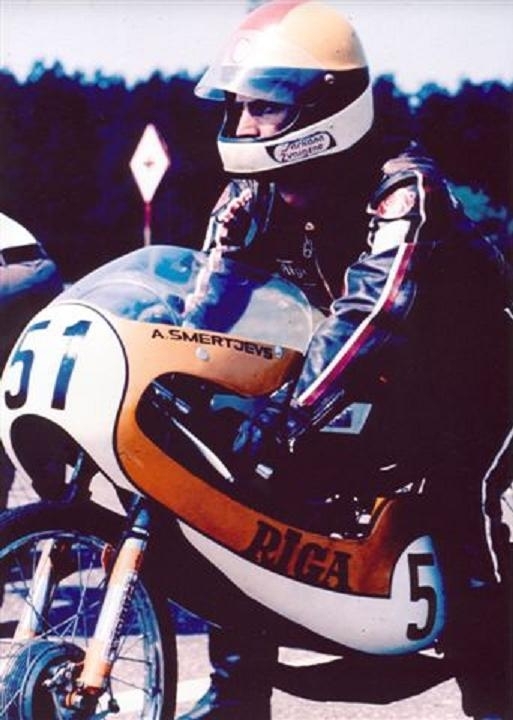 Dutch tuner and Jamathi racing team founder Jan Thiel was in personal contact with the team for 10 years and also organised special parts like silvercage bearings for them.